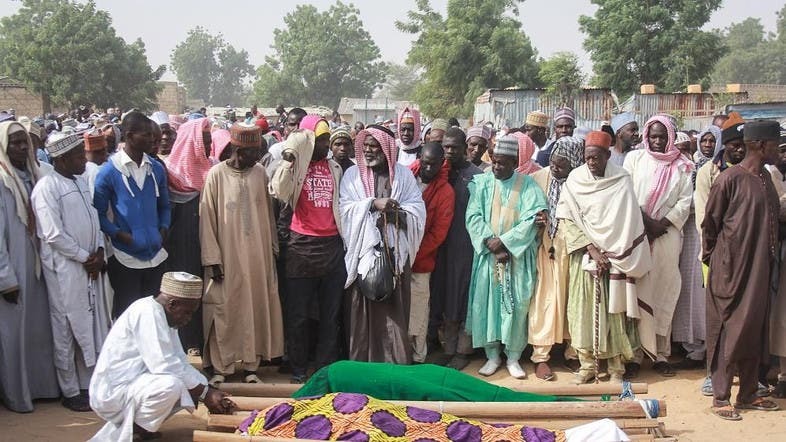 Boko Haram has killed at least 60 people in a “devastating” attack on the northeastern Nigeria border town of Rann, Amnesty International said Friday, calling it one of the deadliest assaults by the extremist group in its nearly decade-long insurgency. Fighters on motorcycles drove through the town near the Cameroon border on Monday morning, setting houses on fire and killing people left behind, the international rights group said in a series of Twitter posts. The fighters also chased residents fleeing the “massive attack” and killed several outside town. The attack came as Nigeria faces what it has called an extremist resurgence, posing a serious challenge for President Muhammadu Buhari as he seeks re-election in two weeks’ time. His administration once claimed Boko Haram had been “crushed” or “technically defeated,” while the military has faced questions over low morale and support. Rann also was attacked in mid-January, sending at least 9,000 people fleeing to Cameroon, according to aid agencies. More than 30,000 joined them across the border in late January, the United Nations refugee agency said. Thousands more fled to nearby Chad, the refugee agency said. “Many people were in a state of shock and were clearly distressed by what they had witnessed. Now they have lost all that they have and need absolutely everything,” Hugues Robert, the Nigeria program director for Doctors Without Borders, said following the mid-January attack. Far-flung Rann has played a tragic role in Nigeria’s fight against Boko Haram. In January 2017, Nigeria’s air force mistakenly launched an airstrike on a refugee camp in the town because it said the camp was not appropriately marked as a humanitarian base on its maps. Officials and community leaders said between 100 and 236 people were killed. In March of last year, three workers for United Nations agencies were among 11 people killed in a Boko Haram attack on a military base in Rann. Three health workers were abducted. Two have since been killed despite urgent pleas from the aid community to spare their lives.